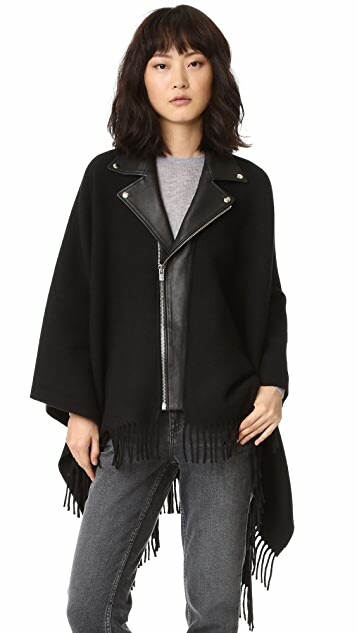 A plush, blanket-like The Kooples poncho. 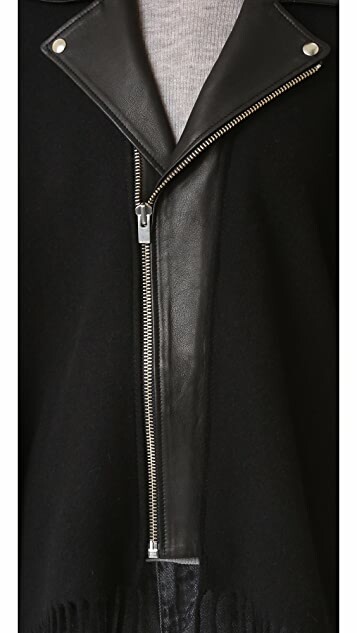 The notched collar and zip placket are made from soft leather. 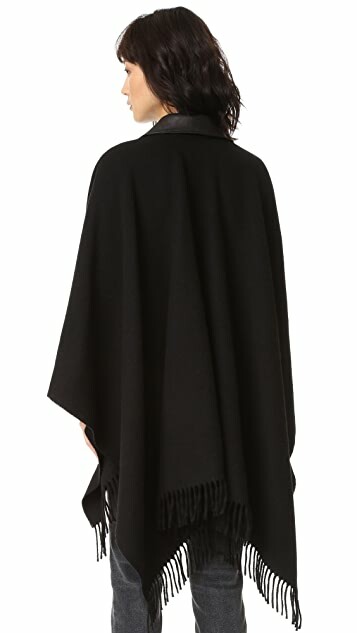 Fringed hem. 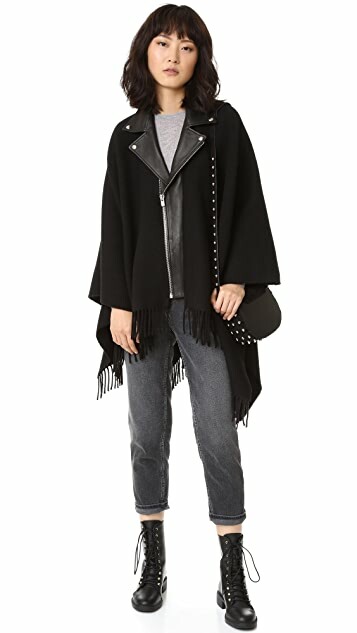 The Kooples is named as a cheeky take on “couples,” which is exactly who the brand is looking to dress. Founded by three brothers in France in 2008, the label aims to create clothing meant for romantic partners who want to dress alike. Updated basics with unique touches form the foundation of The Kooples apparel collection. 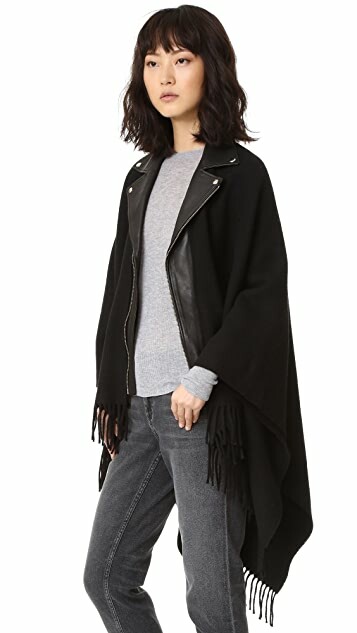 Subdued and academic, The Kooples moto jackets, dresses, and workwear blend classic designs with exciting fabrics and patterns for a cool, effortless look.